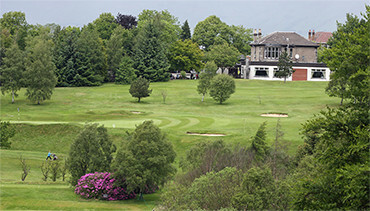 Welcome to Lenzie Golf Club web site. We hope that you will find the information you need here. Please feel free to have a look at what we have to offer. If you can’t find an answer to a question please give us a ring and we will try to help. Our course was first opened in 1889 as a nine hole and extended to an 18 hole layout in 1907. It has been changed and improved since then and is currently a challenging 5984 yards with a SSS of 69. As a parkland course we have many mature trees that can add to its difficulty. 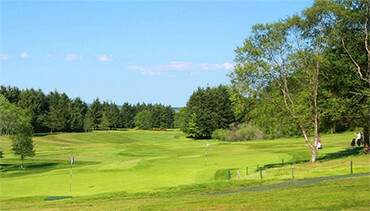 At the highest point of the course, the 10th tee, there are great views of the Campsie Hills and on fine days you can see Ben Lomond to the West. A feature of the course is the 4 par 3 holes. They all head to different points of the compass so you are sure to get a following wind at least once. 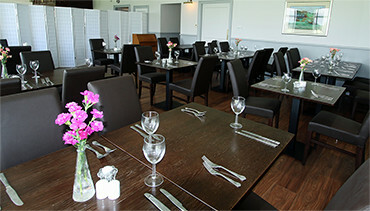 The Clubhouse offers a warm and friendly welcome and a high standard of catering to the visitor. The Club’s PGA Professional, Jim McCallum, not only provides tuition but also keeps a well-stocked golf shop offering golf equipment and clothing, plus club repairs and occasionally a tip or two on how to play the course!